Albert Gore Research Center | Preserving Our Past. Engaging Our Present. Enriching Our Future. As we wrap up the 2018-2019 academic year, the Albert Gore Research Center’s 25th anniversary celebrations will also come to a close. Starting today through the beginning of May, we will post 25 highlights from our collections across our social media platforms, specifically Facebook and Twitter. Look for the hashtag #GoreCenter25. Additionally, Director Dr. Louis Kyriakoudes and Gore Center staff invite the public to our Open House this Friday, April 12 from 9AM-4PM. We will display highlights from our collection in our research room, we will conduct small group tours of our archival storage, we will provide information on how to donate to our archive, and there will be some refreshments in our conference room from 1:00-3:00PM, so come join us! Senator Albert Gore, Sr. speaks passionately before an audience. How did the Albert Gore Research Center get its start? The answer is in our name! Middle Tennessee State University acquired the congressional papers of Albert Gore, Sr. (MTSU Class of 1932) following his retirement from politics in 1970. Two professors from the Department of Political Science, Dr. Norman L. Parks and Dr. David Grubbs, were instrumental in persuading Gore to donate his papers to his alma mater. 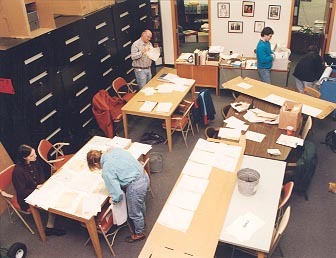 The papers first found a home with Dr. Jim Neal of the History Department, who started the archiving process. 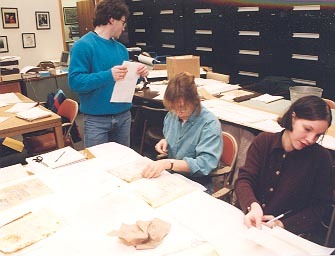 In 1992, the papers moved to the Learning Resources Center (LRC), where the Albert Gore Research Center began opening its doors to the public in February 1993 under the leadership of Dr. Neal as the first director. During this time, the Gore Center began expanding its collections to include university and regional history. Space and storage issues pushed the Gore Center out of the Learning Resources Center and into the newly renovated Andrew L. Todd Hall in the spring of 2005. Dr. Lisa Pruitt, the director after Dr. Neal retired in 1999, oversaw the move to the new space. Since moving to Todd Hall, the Gore Center’s collections and outreach initiatives have grown richer and more expansive. Our oral history collections greatly increased over the years, and we currently preserve thousands of audio files that cover stories of Tennesseans from all walks of life. Betty Rowland, former Gore Center secretary, was a crucial figure in collecting oral histories for the Middle Tennessee Oral History Project. She conducted over 200 interviews between the years 2000 and 2004. In 2003, Don and Sheryl Jones donated some of the oldest-known photographs of Murfreesboro. These photographs are dated between 1865 and 1870, and show vestiges of the Union encampment on the town’s Public Square. Union encampment on Murfreesboro square, ca. 1860s. Don and Sheryl Jones Photograph Collection. The third Gore Center director, Dr. Jim Williams, called 2010 a “transformative year” for our archive for a number of a reasons. Additional compact shelving units were added to the storage area, which came in handy when U.S. Representative Bart Gordon donated his congressional papers to the Gore Center following his retirement from politics. In total, we received over 600 cartons of papers and an electronic database from Gordon. That same year, we acquired another large donation to our collections, this one specifically for the Margaret Lindsley Warden Library for Equine Studies. Joan Hunt donated over 900 books and 5,500 magazines. Today, the Library for Equine Studies is housed in the Special Collections at James E. Walker Library. Lastly, in 2010, the Gore Center participated in the planning for MTSU’s Centennial Celebration that occurred the following year. Perhaps the most important event that happened around this time was the hiring of Donna Baker, MTSU’s first University Archivist. She has been an instrumental figure in collecting and preserving MTSU’s history, and her knowledge and leadership has been vital to the Gore Center’s daily operations and public history training. Donna trained me as a graduate student from 2014 to 2016, and I am eternally grateful for her mentorship in these early years of my professional career. An undergraduate history class discusses what they have found in some of the Gore Center’s archival documents. Since 2014, the Gore Center has continued its dedication to providing the public and MTSU students with access to our many political, regional, university, and oral history collections. We have opened up our doors to classes across MTSU’s campus for hands-on primary source learning, and we have taken the archives into the classrooms of local Murfreesboro public schools. Our graduate assistants have developed countless physical and online exhibits using our collections. We also started a partnership with Walker Library to create and manage more digital collections, including the Forrest Hall Protest Collection. We have built relationships with communities and institutions across the state of Tennessee, like Humanities Tennessee and MTSU’s Teaching with Primary Sources. We continue to sponsor public programs such as Congress to Campus, and we have developed successful programs of our own, like the Movement 68 Symposium held in October 2018. Participants in the Movement 68 Symposium: Honoring 50 Years of Black Student Activism, left to right: Sarah Calise (moderator), André Canty, Arionna White, Sylvester Brooks, Dr. Michael McDonald, Dr. Phyllis Hickerson-Washington, Dr. Vincent Windrow, Lae’l Hughes-Watkins (keynote speaker), and Barbara Scales (moderator). We can’t know for sure what kind of exciting adventures await the Albert Gore Research Center and the archives world in the future, but we do know that our archivists and archivists-in-training will be here when you need us–for your next research paper, class assignment, exhibit, documentary, oral history, public program, community project, or even if you are just looking for some cool historical documents and artifacts. We have been honored to serve the Middle Tennessee community for the past 25 years, and we cannot wait to serve the public for 25 more years and beyond! Visit our website or contact us to start your next project with the Gore Center. Marley previously created a resource guide on “Women’s Groups, Clubs, and Organizations in Murfreesboro,” which included Charity Circle of Murfreesboro. It is a great document to explore all year long, but especially during Women’s History Month. For Women’s History Month, we wanted to put a spotlight on some of our collections related to the important work of women. This week’s spotlight is on the Charity Circle of Murfreesboro. Founded on October 1, 1910 as the “Girl’s Charity Circle” with over 20 original members. Under its first President, Ellen Douglas, dues were agreed upon to be 15 cents per month. From the time of their founding, Charity Circle has worked to serve their community and various progressive efforts as much as possible. One of their first major projects was the construction of a Mission Church on Thanksgiving Day in 1912, made possible by donated time, money, and materials. Members of the Charity Circle worked to provide Mission Church residents with food, clothing, and various educational lessons to help better their living situation. In 1967, they opened the Circle Day Care Center at 216 N. Spring St. The Center was incredibly beneficial for working-class parents, as fees and scheduling were tailored to work schedules and financial abilities, and children were provided with food, educational activities, and supervised recreational time with their peers. Throughout the year, Charity Circle holds numerous fundraising events and parties, including a holiday luncheons, Christmas caroling parties, a “Cupcakes and Cocktails” summer event, and a tailgate party. The Charity Circle’s annual gala, the Ugly Duckling Ball, is their biggest event each year, providing a fun and formal night of socialization and fundraising. All proceeds and donations collected from the event are given back to the community through various charitable efforts that benefit many local organizations. The Charity Circle of Murfreesboro is active today, and recently elected their new President, Anne Davis, in February 2019. They have only grown in numbers and continue to expand their community service projects. For more information, please visit their website, or research the Charity Circle of Murfreesboro Records housed at the Albert Gore Research Center at MTSU. *Disclaimer: some of the words and images cited in this post may contain offensive language and sentiments. This past Valentine’s Day, I had the privilege of attending MTSU’s Unity Luncheon with keynote speaker James Meredith. As a massive figure of the civil rights movement, it was an honor to hear him speak during Black History Month, and learn about his work as an activist as we also recognized heroes in our own Murfreesboro community. To some, the civil rights movement seems like a figure of the past, but it has only been 55 years since the passage of the 1964 Civil Rights Act. Many of the struggles and bigoted beliefs that activists faced during that time are present in 2019. Hearing firsthand the experiences that Meredith went through as the first African-American to integrate the University of Mississippi was an especially emotional moment. Many of those involved on either side of the fight for civil rights are still alive, and their words and actions continue to impact the world that we live in. Alissa Kane, myself, and Casey Swank at the Unity Luncheon held in the Student Union Building ballroom on February 14, 2019. As part of my work as a graduate research assistant at the Albert Gore Research Center, I have been researching the career of Senator Albert Gore, Sr. for an upcoming exhibit. Much of the material that I have sorted through has been constituent mail sent to Senator Gore over the course of his congressional career. 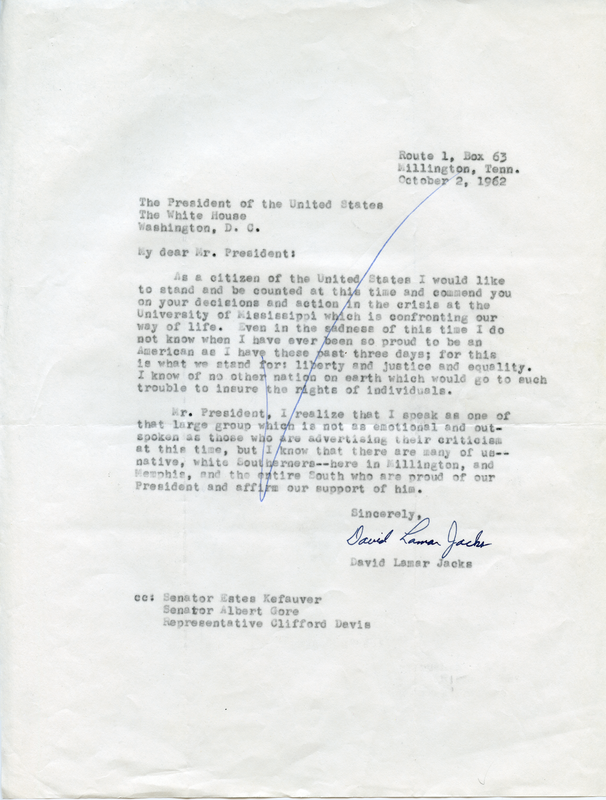 One of the largest parts of his collection covers constituent mail concerning civil rights. In the materials that I have gone through, the vast majority of letters oppose civil rights, and their writers seem to find any way to convince themselves that those in support are working against the progress of our country. Some people believe we should not judge those in the past because they were “products of their time,” but shouldn’t freedom, equality, and opportunity be universally understood values as Americans, no matter the time or place? The opportunities and human rights that African-Americans fought for during the 1960s are things that many of us in the present may take for granted. An African-American man wanting to attend university, something that should be without controversy in our current day, caused a huge stir during the 1960s. After riots broke out at the Ole Miss campus in opposition to integration on September 29, 1962, President Kennedy mobilized the National Guard and other authorities to maintain order among the students and the local community. When Meredith began attending Ole Miss on October 1, he was met with harassment yet he persevered and would go on to receive his degree in 1963. 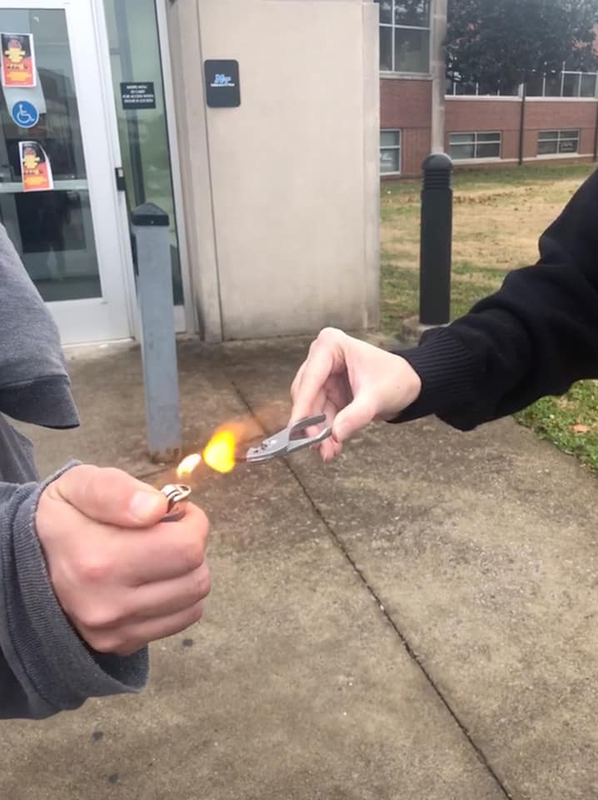 As the riots and controversy surrounding Meredith’s university attendance grew, many outside of Mississippi wrote to their respective representatives to share their opinions on the matter. 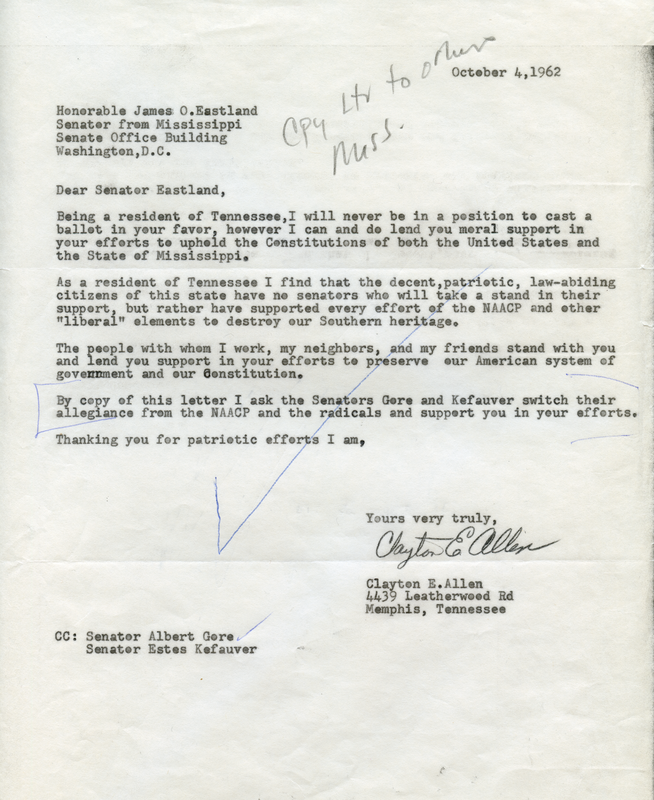 Here at the Gore Center, we have an entire folder dedicated to Senator Gore’s constituent mail concerning the “Ole Miss Incident.” Included below are several images of these letters that we have in our collection. Click here for the transcripts, or click each image to view larger. 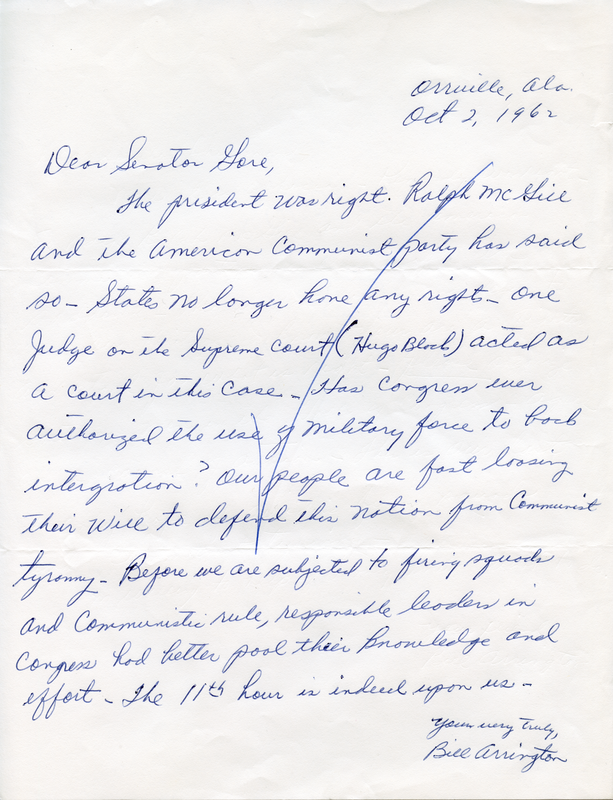 Many who wrote such letters likened any action in favor of integration as “communist tyranny” or evidence of an encroaching “dictatorship.” Some people believed that integration was an attack on white southerners and a loss of southern heritage. While many of the letters voiced concerns over the assumed loss of freedom through the power of the individual states, they did not extend that idea of freedom to African-Americans wishing to pursue the same opportunities as whites. In light of the burgeoning tensions of the Cuban Missile Crisis, many also felt that President Kennedy’s use of force to integrate Old Miss was misguided. One constituent, David Jacks, expressed his strong support for the President’s actions and saw it as a worthy cause toward the principles of “liberty and justice and equality” that our nation was founded upon. While this folder of constituent mail is just one drop in a sea of thousands of other papers, it is a strong reflection of the opportunities that historical research presents. 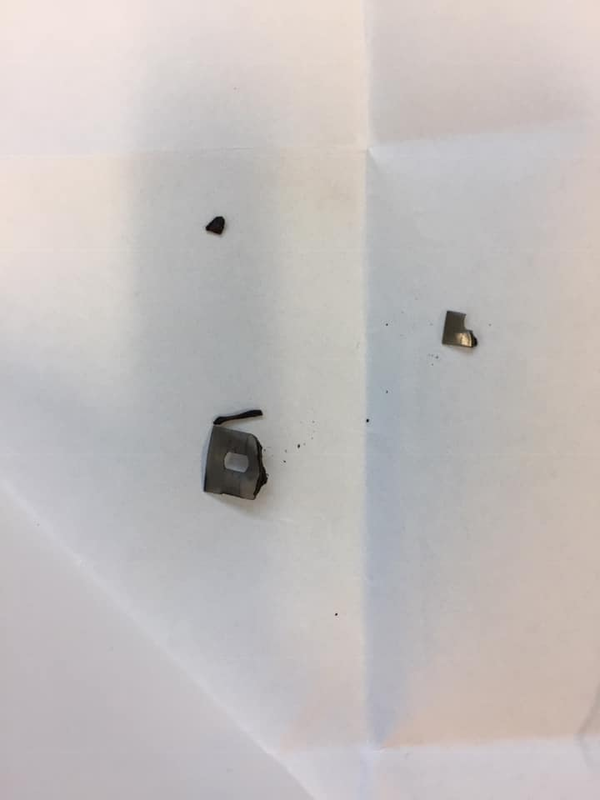 Having the opportunity to work in an archive and interact with these materials firsthand was a unique experience for me. Attending an event featuring James Meredith and then returning to the archives and reading mail discussing a period in his life was an almost strange sensation; what might seem to others as just another event in history had become a very real, very present story for me. 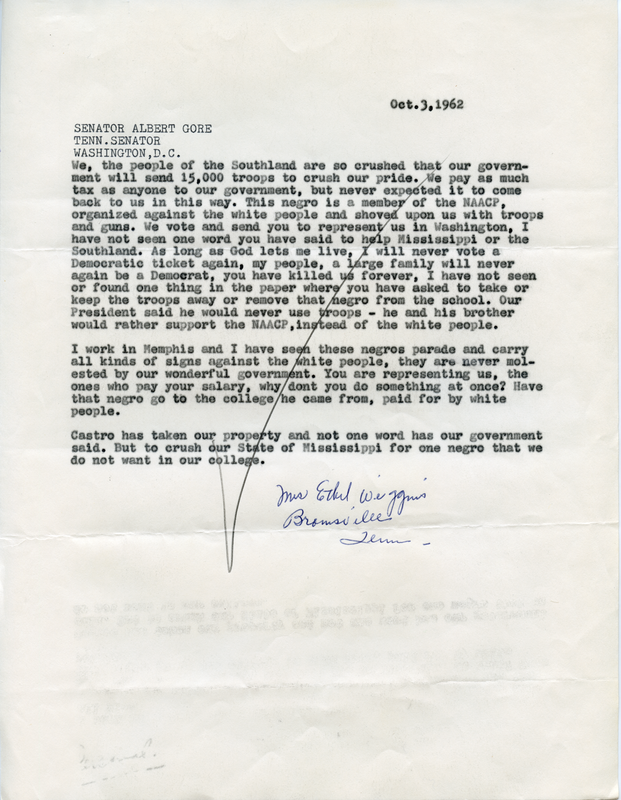 Reading through the hundreds of letters sent to Senator Gore throughout the civil rights movement made an otherwise far away period in time all the more accessible. Being only 24 years old in comparison to James Meredith’s 85 years, I can understand the tendency for many my age to consider a previous period in history as a relic of the past. However, after reflection, the fact of the matter is simple–this was not that long ago. The people who both supported and opposed this struggle for equality are still present. I’ve asked two of my grandparents, both born in 1948, about their experiences growing up in a small Kentucky town, and they both remember segregation quite clearly. Something that was considered normal for part of their generation at one point is now an almost unfathomable concept. This is why historical research is important. This is why we need to take care to understand where we have come from and where we still need to go. If we do not make an effort to understand our past, we cannot progress into the future.